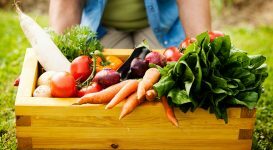 Whatever diet you opt to try for you to experience a happier, healthier menopause, there are several specific fruits, vegetables, supplements and estrogen-rich foods that may help with menopause naturally. Not only are these foods delicious and helpful when it comes to your hormone levels, but they are also rich in nutrients and fiber to help you maintain a healthier weight. When you’re going through menopause, you need more calcium. That’s because the drop in natural estrogen levels increases how fast your bones lose strength and density. If you’re not taking any type of estrogen replacement therapy from your doctor, you need a minimum of 1,200 milligrams of calcium every day. 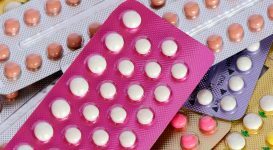 If you’re on a hormone replacement therapy, talk to your doctor. You’ll likely need approximately 1,000 milligrams of calcium daily. Many women immediately think of dairy when it comes to boosting their calcium levels, but you might want to rethink that cliche. For many women, eating more dairy can make menopause symptoms like hot flashes worse. To meet your increasing calcium needs, consider non-dairy alternatives like chia seeds, dark-green leafy vegetables, almonds, and broccoli. Vitamin D is necessary for your body to use estrogen properly. Vitamin D also helps your body to absorb calcium, thus making it a critical menopause-friendly nutrient for maintaining healthy bones during and after menopause. Some of the best foods for vitamin D include fortified beverages, pink salmon, sardines and the yolk in an egg. Getting enough B vitamins helps boost your energy, which often plummets during menopause, and can also help to regulate menopause-related mood swings. B vitamins can also help with hormone regulation and reducing menopausal stress. Check with your doctor to see if soy foods and soy supplements can help. The isoflavones in plant estrogen-rich soy can mimic the effects of estrogen in your body. Some women find that eating more soy or taking a soy supplement helps ease the side effects of menopause and reduce hot flashes. When it comes to foods, opt for minimally processed soy foods as opposed to overly processed meals like soy burgers. Example foods that are minimally processed include whole soybeans (edamame), miso soup, and tofu. The extra protein in soy can also help improve your lean muscle mass, boosting your metabolism and reducing menopausal weight gain. Eating a diet rich in omega-3 fats may boost your mood and reduce mood swings, which many women experience when going through menopause. 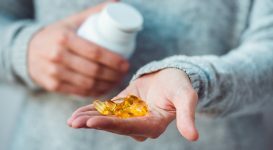 Omega-3s also bring a wide array of additional health benefits, including regulating hormone production, reducing the risk of heart disease, and even keeping your skin moisturized. One of the richest sources of these healthy fats is fatty, oily fish such as mackerel and salmon. If you’re eating a plant-based diet, consider flaxseed. Women who ate more fiber in their diet, without changing anything else in their diet, lose just as much weight as women who go on a new diet, reports scientists. It’s one of the few dieting strategies that most experts agree on. Fiber can also improve your digestion and help reduce bloating, so you feel overall healthier and happier with your body as your body changes. Whole fruits and vegetables are the best sources of natural fiber. 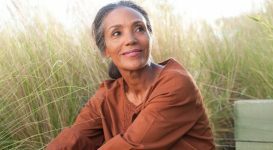 While you can take a fiber supplement during menopause, getting fiber from your food means you don’t miss out on the antioxidants, vitamins, minerals and other benefits of your food. Besides common weight gain offenders like foods that are rich in fat and carbohydrates, you may also find that certain foods make your menopause symptoms worse. Try and limit these foods and see if doing so improves your menopause experience. Food is just one aspect in the equation. 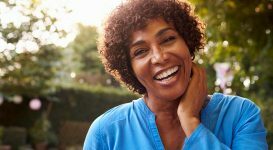 If you want to maintain a healthy weight, boost your mood and reduce symptoms of menopause, look for small ways to change your lifestyle and your habits to increase your wellness. When you’re in your 50s or older, you likely need 200 to 300 fewer calories than when you were younger. This is due to estrogen levels changing, as well as your body composition and activity levels changing. It’s important to look at your eating habits and bring mindfulness to your diet patterns. Instead of mindlessly eating in the same patterns as when you were younger, focus on foods that truly bring you fulfillment and pleasure, and avoid snacking on unnecessary foods that no longer satisfy you. Exercise doesn’t just help you beat back any menopause-related weight gain. 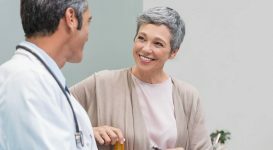 It can also help stave off the loss of muscle that comes with aging, and improve your bone health which is essential for women ages 40 and older. Enjoy 150 minutes of aerobic exercises, such as walking your dog or going for a swim, every week. This can help burn extra calories so that you lose weight. It’s also important to do strength training, such as lifting weight. This helps improve bone strength and density and prevents bone loss related to menopause. You might also like...Why Do I Still Have Hot Flashes in the Winter? Stress, and the accompanying rush of cortisol (a stress hormone) can cause your body to pack on fat. Staying positive and focused can help reduce stress and limit your weight gain during this time of your life. Keep in mind that every woman will experience menopause and you’re not alone in your journey. 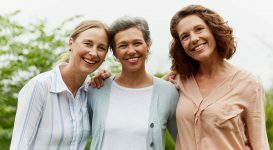 Some women find it helpful to join a support group or talk to friends and family who have journeyed through menopause. Healthy stress-reduction strategies like meditation can also help. Research suggests that meditation can even reduce menopause symptoms like hot flashes! This journey is uniquely yours. Whatever experience you have, take control of what you can — your diet, your supplements and your daily habits — and release what you can’t control. This simple step can make a world of difference as your body prepares itself for the next chapter in your life story. Soy, pistachios, and cherries are all types of estrogen rich foods for menopause. Learn what other foods increase and decrease estrogen naturally.